BIG sad face: Mediaite has a video in which Snooki cruelly snubs Senator Charles Schumer. She did so even after being told by numerous fans and photographers that Schumer was waiting to talk to her. I…can’t bear it. That makes me too sad. Watch the clip here. Geekosystem has the funniest headline I’ve seen all day: “Farting Could Be Outlawed In Malawi.” It’s true, friends — if this legislation passes, gassy Malawians will have to worry about the “he who smelt it, dealt it” rule being used against them in a court of law. The same piece of legislation would also outlaw “pretending to be a fortune teller.” Rough day in Malawi for two of my favorite activities! To read the rest of the post, click here. 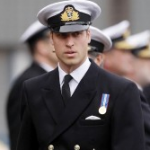 Styleite covers the endless speculation as to what Prince William will wear when he weds Kate Middleton in April. His people won’t even divulge whether he’ll wear a military uniform or civilian clothes. I’m hoping for a long, Diana-esque veil. Get the full post here. Sportsgrid has a clip of James Harrison’s interview with NFL Network’s Kara Henderson, in which he displays a rather disturbing, uh, sangfroid. Sample dialogue, when Harrison was asked if he felt bitter toward the league after being made to pay quite a few fines for illegal hits: “They took a hundred thousand dollars out of my pocket, you think I’m not bitter?” Un! Comfortable! To see the clip, click here. Gossip Cop reports that Kelsey Grammer is expected to marry his fianceé Kayte Walsh this month, though his divorce from previous wife Camille hasn’t been finalized. The situation isn’t all 100% class, though — Camille is claiming that Kelsey was never interested in her sexually. Because he was always watching FOX News. Get the full post here.